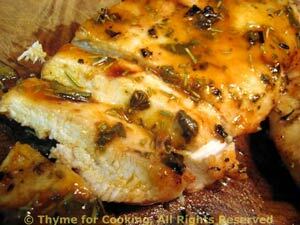 Chicken Breasts, Sage, and Lemon, from Thyme for Cooking's Weekly Menu Planner. We're into the fall herbs now; the summer herbs are loosing their flavor. 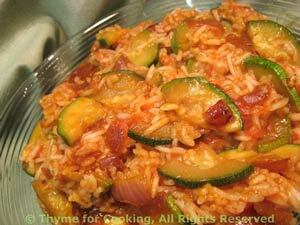 The zucchini is sautéed separately and combined with the rice when done. A simple meal, loaded with late summer flavors.